Immigration to Cyprus may be easier than you think with the help of the Cypriot immigration via investment program. 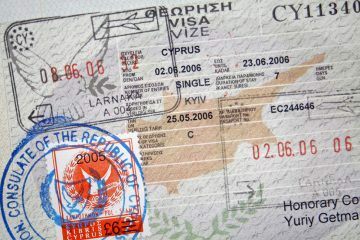 Cyprus immigration is a great opportunity for anyone looking for an EU passport and makes for a wonderful second home. In this article, we’ll introduce you to the things that make Cyprus great, then explain to you the ins and outs of applying for citizenship in Cyprus based on investments into the country’s economy. By the end, you’ll have a good idea of why it’s worth living in Cyprus and how easy it is to get there if you’re willing to make a few investments. Getting Cypriot citizenship is desirable because with it comes EU permanent residence status. If you’re interested in getting an EU citizenship, Cyprus is one of the best places to do so. Getting a Cyprus residence permit for non-EU migrants is just as easy as it is for those who are from the EU. You’ll still need to fulfill the investment requirement and the residency proof, but there are no significant differences with the citizenship process for EU citizens. For those who already have an EU citizenship, the borders are open, just like everywhere else in the European Union. You won’t even need to get proof of residency before you can start the investment and citizenship process. The total amount of time to citizenship is very similar for EU citizens and non-EU citizens. Non-EU citizens may have to wait a few weeks longer to secure their proof of residency documentation but preparing yourself for the process by hiring a good immigration lawyer will minimize this time substantially. Immigration to Cyprus by investment is an increasingly popular route to citizenship that the government of Cyprus is happy to encourage because it brings huge amounts of foreign investment into the country. Business immigration to Cyprus requires retaining a residency in Cyprus, though you won’t need to inhabit your Cypriot residence year-round or even at all. 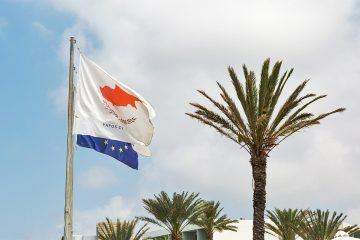 As mentioned previously, if you plan to achieve Cypriot citizenship via investment, you’ll need to invest two million euros into Cyprus for three years while retaining a Cypriot residence worth at least 500,000 euros. Getting a Cyprus residence permit is a necessary precondition before you can get full citizenship in Cyprus. The most common path is Cyprus residency by buying property. There’s no requirement to reside in Cyprus, but you do need to be willing to purchase property with a minimum value of 500,000 euros and retain it for the duration of your citizenship. There is some talk in Cyprus that this requirement will waive. In the meantime, you should expect to purchase a home in Cyprus in addition to the remainder of the 2 million euros necessary for an investment-driven citizenship process. 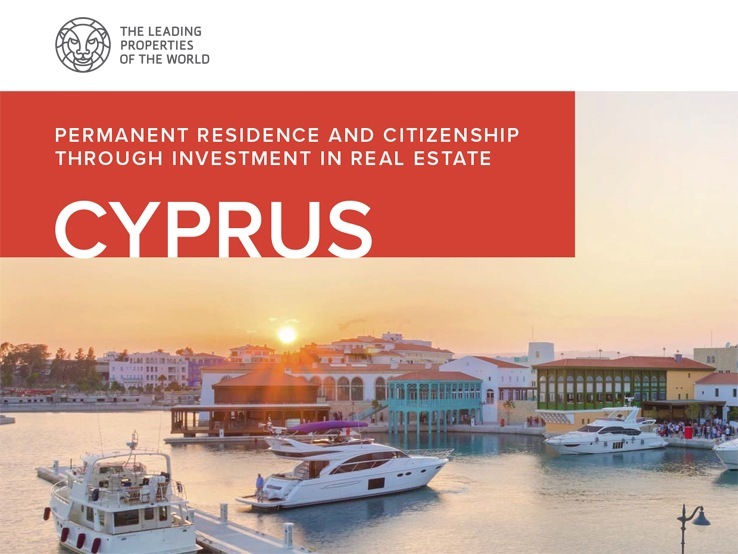 If you can afford a home in Cyprus but not the shortcut to reach the investment-driven citizenship in three years, you can still live in Cyprus for ten years and achieve citizenship. The difference is that your spouse and children will not necessarily be granted citizenship unless they too have been living in Cyprus for ten years. There are a few other important points about the permanent residence program by property purchase. There’s no language or history test requirement to get citizenship or permanent residence status in Cyprus. Because there are no language or citizenship testing requirements, it’s extremely easy to get permanent residency or citizenship in Cyprus from afar, provided that you have enough wealth to do so. In fact, some wealthy individuals can secure Cypriot residence without having ever set foot in the country. Getting a Cyprus property investment visa is necessary for completing the citizenship process. Luckily, for EU residents, applying for a residence permit is not required. For non-EU residents, obtaining permanent residency in Cyprus requires applying for the permit. Applying for the permit requires your passport, your bank statements, proof of income, four passport photographs, a copy of the property acquisition contract, a copy of your medical insurance, and a deposit of 550 euros. Once you’ve assembled these components, you should hire a Cypriot immigration law firm to help you through the rest of the process and make sure that you have completed all of the documentation requirements properly. Making a Cyprus immigration investment is easy once you define the kind of investment that you’re interested in retaining. Getting a Cyprus passport by investment is the same no matter what your asset mix of investments is; so long as you’ve met the minimum requirements and retain a residence on the island, you’re eligible. Popular locations for investing in urban properties include Nicosia, Limassol, Strovolos, Larnaca, and Famagusta. For investment properties located in the countryside, Aglandijia and Paphos are popular. Nearly every area in Cyprus has beachfront property available for investors to purchase. The only major decisions to make to pick an investment are whether to invest in North Cyprus or the rest of Cyprus and whether to invest in urban or rural property. North Cyprus contains more people of Turkish heritage and boasts many beautiful ancient mosques rather than the eastern orthodox cathedrals of the rest of the island. People in both parts of Cyprus speak English fluently, so that isn’t a factor. Investing in certain historical areas of Cyprus will likely be more expensive and have more restrictions than investing in the newer areas. The Cypriots are serious about preserving their cultural sites that have survived since antiquity. This residence is located in the heart of Limassol, very close to the university campus and a short walk to Limassol’s business and shopping district, the seafront and the new marina complex. There are single-bedroom apartments and two, two-bedroom top floor penthouse apartments. The apartments are spacious due to their design. The top floor penthouse apartments have views across the rooftops towards the sea and city. Each apartment has a private balcony access by sliding full-height glass doors. Individual apartments have provisions for a video entryphone and alarm systems and the entire complex is secured by remote controlled security gates. This residential complex is located on a hill in Ag. Athanasios district and overlooks the sea and the city. The residence comprises a range of two and three bedroom apartments spanning from 126 to 210 sq. m. Apartment owners will appreciate the pool and the large terrace which are available only to the residents. 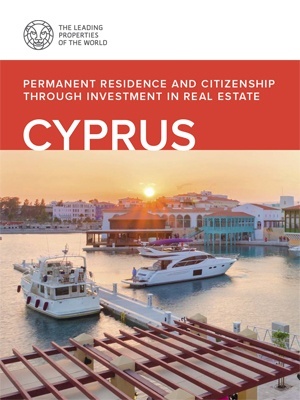 To get on the road to citizenship, you’ll need to know how to buy property in Cyprus. First, find some real estate for sale in Cyprus using the internet. A few special indications apply if you’re considering buying property that’s in the north of Cyprus. Ownership of some properties in the north of Cyprus is disputed thanks to historical events on the island. Because many people were displaced from the north, they may at some point be resettled there. People resettling there would have a massive impact on any property that you purchased there. When seeking Cyprus residency by investment, you will need to go through a few stages. Immigration to North Cyprus is easy provided that you have the same investment capital ready for allocating. Getting Cyprus citizenship closely follows the stages mentioned earlier. Cyprus citizenship law is very simple and is very favorable for foreigners. The Cyprus economic outlook is very strong. Cyprus’ economic indicators have recovered substantially from the brief period of negative growth in 2009 after the world financial crisis. Today, the economy of Cyprus is overwhelmingly driven by tourism, which is accountable for over 80% of the island’s GDP. The tourism economy of Cyprus means that the island is excellent at catering to people from every corner of the world, which means that you should feel at home no matter what. Cyprus’ largest trading partners are Greece, the UK, Italy, and Turkey. In recent years, Israel has also started to trade with Cyprus in large volumes, taking advantage of the two countries’ closeness in the Mediterranean. The financial services sector of Cyprus is rapidly growing and acts as a gateway for the Eastern economies of Europe and Russia to plug into the global financial cores in western Europe. Because of this and its generous immigration policy, Cyprus is a hotbed of foreign investment. Countless firms have their headquarters based in Cyprus, which contributes heavily to the country’s economy. In particular, maritime companies are heavily represented in Cyprus, in part because of its proximity to the Suez Canal. Astute observers will remember the Cypriot banking crisis in 2012, which was closely related to the Greek economic crisis of the same period. The banking crisis led to the breakup of several large Cypriot banks and caused Cyprus to accept a bailout from the EU. While the bailout might seem like it would drive foreign investment away from the country, nothing could be farther than the truth. Though uninsured deposits were penalized as a result of the bailout, Cyprus forged through several years of negative economic growth before returning to profitability in 2015. Cyprus’ return to profitability was marked by their closure of the bailout program and repayment of the principal which they accepted from the EU and the IMF. Cyprus paid off their debt early and didn’t even require the entire quantity of bailout money that was allocated to them. Taxes in Cyprus are relatively low for individuals and corporations alike. The corporate tax rate in Cyprus is 12.5%, which puts it at substantially lower than many of the other western economies. Of course, many companies flock to Cyprus to take advantage of this tax rate. Importantly, the tax program is in active flux. Recent reforms have reshaped Cyprus’ tax system in favor of foreign investors, and there are many rumors that these advantageous reforms will continue. The more people who attempt to invest in Cyprus to become citizens, the more likely it will be that the Cypriot government will pass reforms to encourage that behavior and increase the happiness of its citizens. For individuals, the tax brackets in Cyprus are very favorable. The highest tax bracket, for individuals with over 60,000 euros in annual income, stands at 35%. The Cypriot legal system is extremely favorable for high net worth individuals for a few reasons. First, there is no tax for sending the profits from Cypriot investments to your offshore bank account. This means that when you invest in Cyprus to get citizenship, you can end up making money with your investments the same as you would elsewhere without suffering any additional taxes or having to go through any additional regulations. Second, there are no restrictions on foreign direct investment in Cyprus. If you fall in love with the country, you can invest as much as you like in the island’s businesses and government. Cyprus is always looking for opportunities to make the lives of its citizens better by any means possible. Though the taxes in Cyprus are very low, there are taxes on buying property in Cyprus under the non-domicile tax resident principle heading. The tax situation in Cyprus has changed a huge amount in the past few years. These changes to the Cypriot tax code have reduced the amount that non-residents have to pay. Unfortunately, residents will have to pay a bit more on their capital gains and rental incomes thanks to the new tax policies. For those seeking citizenship in Cyprus via investment, these tax reforms are great news with no downsides. The non-domicile tax resident principle was enacted in 2015 to decrease the taxation of non-resident Cypriots. This principle removed a tax levied at a rate of 17% on worldwide dividends, 30% on bank deposit interest, and 3% on rental income. As long as you are not living in Cyprus, you won’t have to pay any Cypriot taxes. These tax breaks are the total opposite of other popular destinations for high net-worth individuals like the USA. The Cypriot government will continue to go out of its way to make sure that there are no disadvantages to gaining Cypriot citizenship to encourage foreign investment into their country as much as possible. Cyprus has a value added tax which is at 19%. The tax rate makes some luxury items a bit more expensive than they might be otherwise, but these items will still be substantially cheaper than in the European mainland. The value-added tax levies at 9% for food, hotels, and other tourist goods. Likewise, rent and financial services are exempt from the value-added tax. You will have to pay the value added tax for any property purchases that you make in Cyprus, however. You can apply for an exemption for the highest value-added tax rate while purchasing property to reduce the tax by as much as 66%. You will need a Cypriot lawyer to walk you through the application process for this tax benefit during the time of your property purchase in the country. There are also a few other property related taxes in Cyprus. The first is the property transfer tax, which levies at the point of sale. The property transfer tax is sometimes as much as 20%, depending on the scale of the purchase. There is also an annual property tax in Cyprus. The annual property tax is levied at a small percentage of a property’s assessed value each year. For the most expensive properties, this tax will be as much as 5%, but for most properties, the tax rate is much lower. There’s no inheritance tax in Cyprus, which makes it an ideal place to retire and ensure that the family nest egg remains secure. There is also no wealth tax, which, while uncommon, is becoming increasingly a factor in deciding to emigrate within the EU. Keeping your money in Cypriot banks is safe, provided that the country does not undergo another credit crunch like in 2009. Notably, nearly every other country in the developed world underwent the same credit crunch in that period, so if there’s another, it’s highly likely that Cyprus will do no worse than anywhere else you might consider saving your money. Just remember that there is a tax on the interest from bank deposits in Cyprus. The deposit tax shouldn’t amount to much for most people, but it’s worth remembering if you are using Cyprus as a tax shelter for large sums of cash. 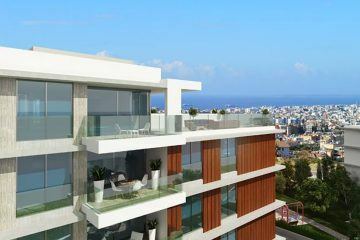 It’s probably better to invest in a Cypriot property even though they’re taxed at a higher rate because the Cypriot government only guarantees deposits up to 100,000 euros. Cypriots eager to pay less tax can take advantage of the country’s tax deduction program, which also extends to corporations who are headquartered or who have operations there. If you’re looking to invest in Cypriot properties to get investor status and become a citizen, property for sale in Cyprus with a sea view is easy to find. 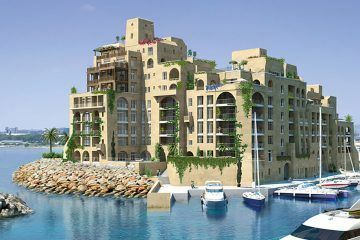 Likewise, if you’re looking for luxury properties for sale in Cyprus, options are abundant. Many luxury condominium units are being developed along the oceanside in the gorgeous Cypriot cities of Nicosia and Limassol. There are many tools which can help you find the right property to buy in Cyprus. Because Cyprus is such a hotbed of foreign investment, there are many options for properties to purchase. While browsing the properties for sale in Cyprus¸ think about the way that you might want to use your property. Are you looking for an investment vehicle that will also secure your citizenship or a place in the countryside that isn’t as pricey but opens up the opportunity for luxurious family vacations? Cyprus has investments for everyone. If you’d rather avoid owning property beyond the 500,000-euro residency requirement, you can simply invest in securities issued by the Cypriot government or Cypriot corporations. Remember, you’ll need to retain an investment of at least two million euros for three years before you’re eligible for citizenship in Cyprus. 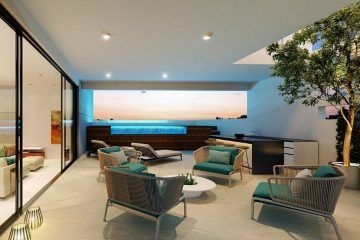 Surrounded by water, this residential complex offers a choice of two, three, four-bedroom apartments and duplexes with uninterrupted views of the sea, the Marina and the coastal city of Limassol. Set on a private island, accessed by a bridge, just steps away from the beach, in close proximity to the development’s luxury dining, shopping and leisure facilities. The property tax of Cyprus falls under the “Cyprus immovable property tax law.” This law applies to all properties. The tax is calculated based on the value of the property and pays to the Cypriot government on a yearly basis. For a property that costs 500,00 euros, you’ll pay taxes at a rate of 1.3% per year, which works out to around 5,000 euros. There are a few communal expenses in Cyprus. The communal charges in Cyprus apply to the maintenance of the property like a condominium fee. These expenses are billed to the management company of the property on a monthly or yearly basis indefinitely. Typically, these expenses are a flat rate that does not increase over time. There may be instances in which you are required to pay for a percentage of your building’s communal renovations, but you will be informed about the extent of your liability beforehand. If you plan on living in Cyprus with your young children, you’ll probably want them to learn English while they’re there. There’s no problem finding great English education in Cyprus, thankfully. If you decide to send your child to a public school in Cyprus, they’ll get an excellent education – in English – that’s on par with the very best that the EU can offer. If you’d rather have your child educated at a private school, Cyprus has many international schools that offer the same world-class education in English and other languages. These schools are in Cyprus’ larger cities. 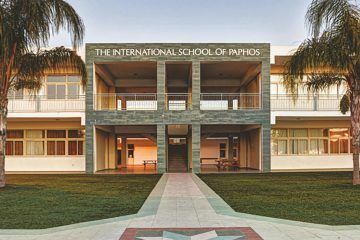 Limassol has the highest concentration of international schools, and it’s also a great leisure destination, so it’s a great place to look for a school first. Education in Cyprus is roughly as long as education elsewhere. Primary school takes six years, and secondary school takes six years. After secondary school, there are some excellent universities in Cyprus that young people everywhere would be extremely lucky to go to. Many famous European universities have campuses in Cyprus, and many of the Cypriot universities have excellent study abroad programs in the rest of Europe. There are also countless other opportunities for education in Cyprus for international students. An introduction to the beauty of Cyprus would be incomplete without discussing the island’s perfect atmosphere and wonderful culture. The Cyprus climate is a perfect Mediterranean mix of 24 C days and 17 C nights. You’ll never be too hot or too cold during your time in Cyprus. Cyprus experiences a very long summer, with roughly eight months being sunny. The remaining months are a short and mild winter that rarely brings snow to the coastal areas of the country. In Cyprus, you’ll be ready to spend most of the year by the beautiful oceanfront that rings the entire country. You may want to take a dip in the waters, too. The Cyprus water temperature is wonderfully warm year-round, and its clear and calm surface is perfect for snorkeling. It’s easy to be healthy in Cyprus. The Cypriot diet is characteristically Mediterranean and is heavy on wholesome vegetables like zucchini, okra, artichokes, grape leaves, chickpeas, lentils, avocados, pistachios, parsley, and lemons. Fresh food is the rule rather than the exception in Cyprus. Walking through the city streets of Nicosia, you’ll easily find the open-air vegetable markets that are filled with an abundance of fresh produce. Likewise, in the many cafes of Cyprus, delicious freshly brewed coffee and souvlaki roasting on a spit make for a wonderful gustatory experience. If you prefer to eat healthily by eating seafood, Cyprus is the place for you. Cypriots eat all manner of oceangoing creatures, ranging from octopi to sea bass. Calamari is also very popular on the island, as is salted cod. Traditional Greek standbys like hummus and dolma are also easy to find and delectable to snack on. Cyprus wouldn’t be heavily influenced by the Greeks if it wasn’t enthusiastic about yogurt. The Cypriots take yogurt to a new level of artfulness, and it’s extremely healthy to boot. Many people choose to live in Cyprus because of its wonderful environment. Significant numbers of expats from Greece, the UK, Romania, and Bulgaria make their homes on the island. Many potential immigrants wonder, “is it safe to visit Cyprus?” The answer to this question is an emphatic “yes!” Cyprus is one of the safest countries in the world. Cyprus’ safety ranking is extremely high. There is little crime of any kind on the island, and in fact, many people refrain from locking their doors or cars at night. Even the president of Cyprus, Nicos Anastasiades, is known to walk around Cyprus with only a minimum of security. It’s common to see the president sitting in a theatre or café with only a single guard, who is not even armed. The safety of Cyprus is hard to overstate. Indeed, Cypriots are largely friendly to foreigners and each other and enjoy a collaborative society that makes the streets and roads safe for everyone. Even after rousing football games, Cyprus is orderly and secure. Cyprus is a living example of the power of positive change. The island has no “bad spots,” and even historically difficult areas like Ledra Street in Nicosia are now one of the city’s most popular shopping districts. You could leave your wallet on the floor there and find it the next day propped up against a wall so that passers-by do not step on it. If you’re accustomed to driving on the right side of the road, you’ll need to be careful! In Cyprus, the cars drive on the left side, which could be a safety issue if you’re not ready to make the change. If you’re still wondering what the statistics for crime in Cyprus are, you’re about to get a pleasant surprise. In 2002, there were only 13,023 crimes in all of Cyprus – and Cyprus only has slightly over a million people! Regarding violent crime, Cyprus has rates in the low single digits. The country is extraordinary safe, even by high European standards.